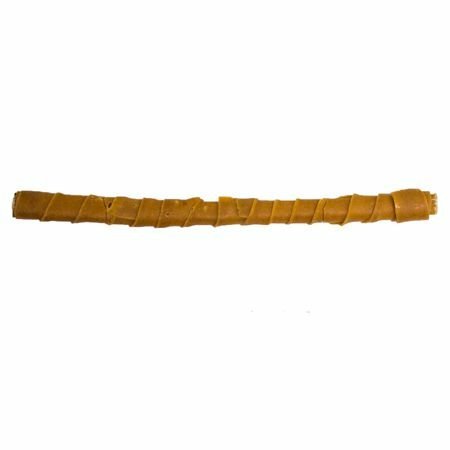 Yaky Stick is a combination of two of dogs' favorite treats. Himalayan Dog Chews are wrapped around a Bully Stick,which is made in the USA using patented processes without using any binding agents or glue in the USA. Bully Sticks come from all free-range grass fed cattle and provide dogs with essential proteins while Himalayan Dog Chews provide them with essential minerals. Moreover, this combination allows the Bully Stick to have little or no saliva from the dogs, hence emitting very low or no odor. While some dogs go for the cheese of Himalayan Dog Chews and some go for the Bully Sticks, we guarantee that any dog will go for Yaky Sticks, enjoying them fairly longer than a regular Bully Stick.